A shiver of sharks at the Shark City. The son of a friend once said while we were watching the hit Netflix film, Bird Box, at their living room. It was the first day of the year and everyone was just lazing about, nibbling leftovers from the New Year’s Eve party while watching the movie. The boy, probably 9 years old, asked the question not because he was curious but merely to express protest. It was another way of saying, “Let’s watch another film instead, particularly one that does not show violence.” Now, take the kid’s expression but this time on another occasion. Instead of the kid, it was me who was asking the question and instead of a film, it was about the idea of swimming with sharks. “Why would anyone do that?” That was the unspoken question I had the moment our guide said that we were headed to the Shark City, one of Palau’s famous destinations that is known for its swarm of sharks. The very apparent future that awaited our group was to go there and snorkel to see the sharks (I mean, swim with sharks!). I have been told and have read many times that sharks are not the nasty beasts that many films portrayed them to be. In Palau, people say that the country may be a small land state but it is a large ocean state and it is for the same reason that locals and visitors alike enjoy the bounties of the sea and its wonders. The Shark City is one of these blessings. It was during a trip that our Taiwanese friend, Chou Yu Ting, hosted on January 5th that I had the chance to go to the Shark City for the first time. It was not a surprise that our group was composed of different nationalities. From what I gathered, we had friends from Japan, United States, Germany, Australia, Netherlands, Philippines, Taiwan, and of course, Palau. We visited different Rock Island sites but it was in Ulong Channel when I had my first dip. I did not plan to swim yet as I had convinced myself it was too early to take a dip but one of our friends, Austin Gaylord, said that the last time he visited Ulong Channel, he saw many sea turtles. And who does not love to see sea turtles, right? 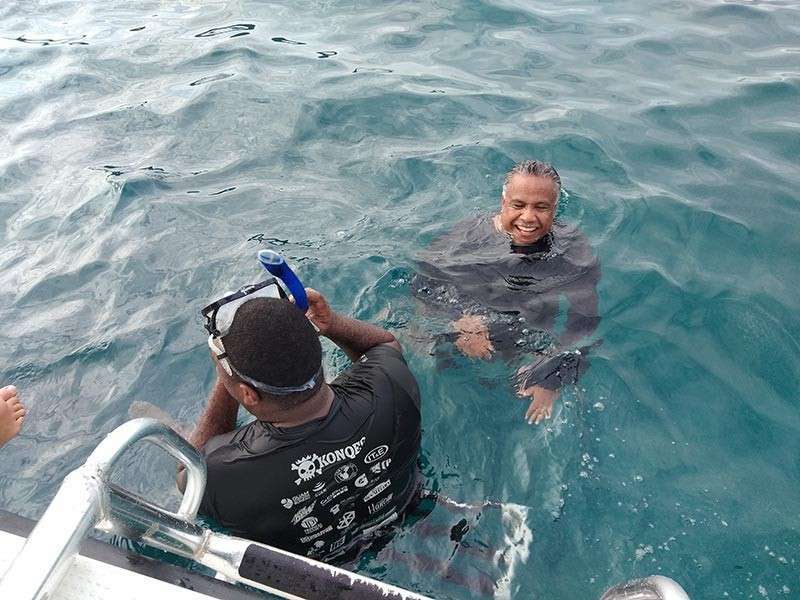 So I put on my mask and was instructed by our guide, Johnson, to slide down from the boat to the sea water (I hate jumping) and just float. The current in the channel was a bit strong that it could drag you somewhere far from the group so were told to stick together. It was right at that moment that I realized how deep the water was. If there is one thing I am most proud of for being in Palau, then that would be learning to conquer fear of deep water. There was a part that was so deep that you can hardly see the bottom of the sea but when we swam a little farther, our eyes were welcomed by the view of beautiful fishes and corals. I swam and looked around, half of me praying to see turtles and the other half wishing not to see sharks. But the vibes soon changed the moment we reached the Shark City via boat. By the time we reached Shark City, it was already freezing cold what with the temperature already dropping as the sun was about to set. Some of our company immediately dived into the water and enjoyed the view of the sharks. 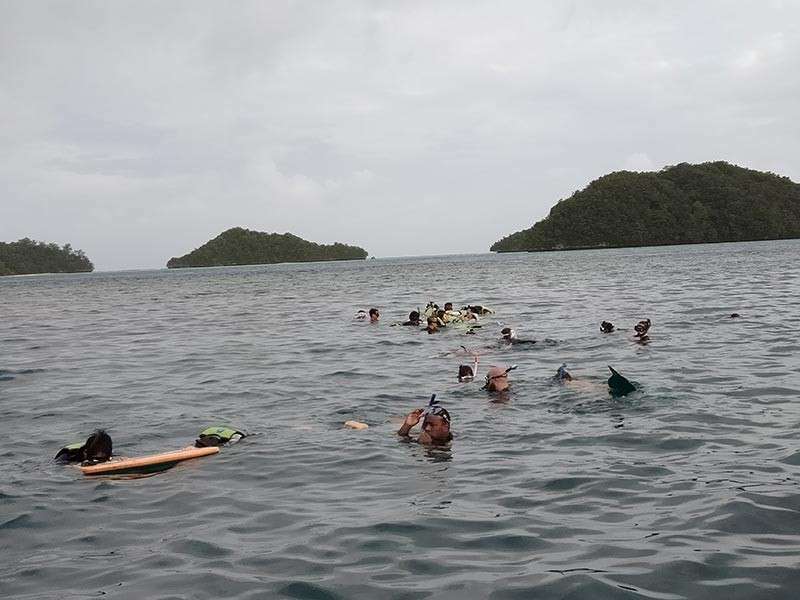 My friend Imee Delos Santos, who is a nurse and was on a night shift before taking the trip, said that her drowsiness was gone as soon as she dived into the water and saw the sharks. She enjoyed it, she said. Some sharks would swim too close to the water surface that you could see them even from the boat. 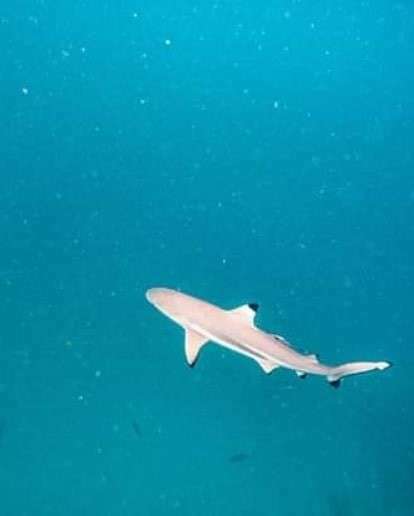 As I watched the rest of my group swimming around the boat with the sharks, I cannot help but wonder how the sharks and the other fishes in the water seemed to have grown used to the presence of “hoomans”. It is only in Palau when you do not take seriously someone who would suddenly shout “sharks!” just to scare you off. In fact, when someone says “sharks”, everyone would dive into the water just to see them. 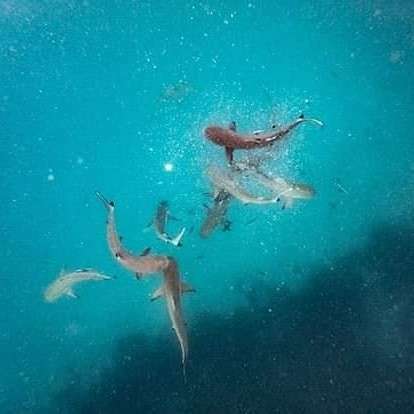 Although the stigma about sharks being dangerous creatures to humans is still very much alive, there had been many published articles trying to remove the stereotype. Countless articles narrated the fact that humans are not the preferred prey of sharks. If you are planning to visit Palau soon for a vacation, the Shark City should not be missed. The great thing about Palau is that you do not have to be a diver just to see amazing wonders of the sea and its creatures. If you can swim and you have a mask, then that is all you need. Going to the Shark City is easy. You just book a tour with a boat operator and they will take care of the rest.